Ask anyone about who needs prayers or the countries that require prayers. The answer one will likely get is that all humans and all countries need prayers. But when aware that one particular leader is seeking prayers for another country, you will think such a leader is exhibiting an act of love. The next question will be how can a leader, Kim Jong Un, who is seeking to destroy another country seeks prayers for the country he wishes to destroy? Isn't Jong Un one who requires prayers for God to take him out of the path of evil and his country from the path of destruction? Moreover, everyone is aware that North Korea is the country that requires prayers, considering the temperament and how the country's leader has been displaying acts unbecoming of peaceful act. And one who has foolishly placed his country on the path of destruction, by challenging another country that is capable of bringing destruction upon his country. America expects China to rein in on Kim Jong Un, for him to desist from his path of destruction. But rather than doing that, China has been reported as secretly testing its own ballistic missiles! Is that a demonstration of lack of trust of Jong Un? When the new leader of South Korea, Moon Jae-in, said that he would prefer to dialogue with Jong Un, many people asked in soliloquy about what would come out from a dialogue with a pariah, and that something may have have gone wrong with the South leader, for his wish to abandon dealing with a reasonable world to embrace a pariah. Jong Un is a pariah among world leaders. His country, North Korea, is also a pariah among comity of nations. He is not doing anything to change the status quo. North Korea is not known to be a prayer believing country, unlike the U.S. that he is seeking to use his missiles against, known as a prayer believing country and where the people are fervent prayers. Many people that If there is any country or people that require prayers, it is the North Korea and the North Koreans, because of the evil personality the country has as a leader. 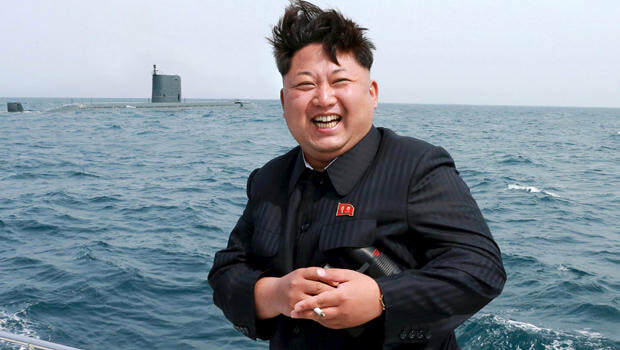 People believe that Jong Un needs prayers, and a lot of prayers, because he acts like child playing with fire. He may have been encouraged to embark on seeking prayers for America by his testing of ballistic missiles and media reports that the missiles can now reach the U.S. mainland. This guy is few steps away from destruction for stupidly threatening people who mean no harm to him.